On May 24 media sources announced that the NHL has chosen a bride-to-be owner of the Phoenix Coyotes – Renaissance Sports and Entertainment led by George Gosbee and Anthony LeBlanc. 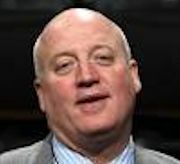 It was also widely reported that Commissioner Bettman and Deputy Commissioner Daly along with Gosbee/LeBlanc will do a “walk around” with the Mayor and City Council on Tuesday morning, May 28th. The term “walk around” is a slang expression. It means that meeting all seven of the council at one time would violate the Open Meeting Law unless they were making a presentation at a public council workshop or meeting. To avoid violation of the Open Meeting Law these gentlemen will meet in groups of no more than 3 councilmembers (4 councilmembers would trigger a violation). Craig Morgan is accurate in his May 24th article for Fox Sports Arizona entitled Sources: Gosbee/LeBlanc group has agreement to purchase Coyotes when he says, “ Bettman, Daly and RSE will meet with Glendale Mayor Jerry Weiers and then will hold two separate meetings, each to be attended by three councilmembers.” Here is the link: http://www.foxsportsarizona.com/nhl/phoenix-coyotes/story/Sources-GosbeeLeBlanc-group-has-agreemen?blockID=905273&feedID=3702 . Paul Giblin’s piece for the Arizona Republic of May 24th entitled NHL may lay out Coyotes ownership deal Tuesday, mayor says reports the same saying, “Bettman, Daly and RSE will meet with Glendale Mayor Jerry Weiers and then will hold two separate meetings, each to be attended by three councilmembers.” Here is the link: http://www.azcentral.com/community/glendale/articles/20130524nhl-expected-lay-out-coyotes-ownership-deal-tuesday-mayor-says.html . So far, so good. They both report the very same fact. From here on in, read carefully, very carefully. Morgan, in his article says, “If RSE is not able to reach an agreement with Glendale, sources (my bold) have said that John Kaites’ group is still a possibility to purchase the team, as would be Greg Jamison’s group if it could gather the necessary investors. But multiple sources (my bold) have said that the NHL is no longer interested in dealing with Darin Pastor, whose bid was recently rejected by the league.” These sources with no attribution are dealing in speculation. Could be fact. Could be fiction. Giblin, in his article, says, “Sherwood said he believes (my bold) any potential owners will want to be paid substantially more than $6 million a year, which is the figure that’s been earmarked in numerous proposed city budgets for the arena management fee.” One person’s belief, especially in this instance, is not fact when there are 6 other councilmembers who may, or may not share that belief. What have we learned that we did not already know? Bettman, Daly, Gosbee and LeBlanc will meet the Glendale city council on Tuesday, May 28th. It appears that RSE will become the NHL’s choice as owner. That is an assumption until the NHL makes a formal announcement. Public release of the facts of the deal are essential. Questions need answers, such as: Is there an opt-out or relocation clause? What is the time period for either? What is the ratio of equity to debt? Councilmember Sherwood stated publicly that we will hear the deal parameters at the council workshop on Tuesday, June 4, 2013. The Renaissance Sports and Entertainment group was organized only recently for the express purpose of attempting to purchase the Coyotes. They have no demonstrable experience as a fledgling group in managing any sports or entertainment facilities, much less an NHL or NBA all-purpose arena. 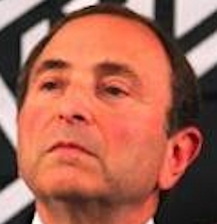 I applaud Bettman and Daly having finally made a decision in terms of ownership but what were they thinking? The NHL must be ready to use its muscle with a “take it or leave it” strategy. Do they seriously think a MAJORITY of this council will accept as an arena manager a newly formed group with no track record in managing an arena? And do they think a MAJORITY of this council will expend more than the $6M budgeted in the soon-to-be-approved city’s Fiscal Year 2013-14 Budget? 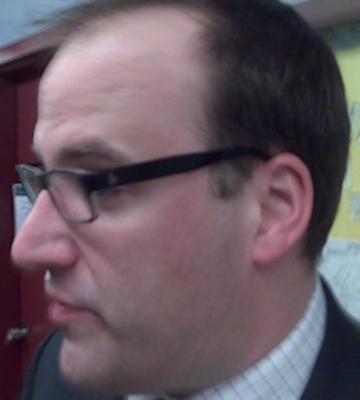 Councilmember Sherwood says he has a plan but will it turn out to be an acceptable one? Not unless this council is suddenly willing to listen to the likes of Ken Jones, Arthur Thruston and Andrew/Darcy Marwick berating them for subsidizing a sports team during the Public Comment period at every council meeting –forever. Joyce, so you assume the team will leave then? It would be odd to think that Daryl and Anthony who have been at this for 4 plus years would ask an expect a AMF number that is way out of bounds. RDS out of Montreal is saying the team will leave to Seattle. How will Weiers and co explain the sudden and absolute loss of businesses and revenue from Westgate? Isn’t Darcy/Andrew Warwick Phoenix residents? I do not assume anything. All that I can tell you is what Anthony LeBlanc said in an Arizona Republic story. He said he expected the deal and the arena management fee to be “similar” to the Jamison deal. I have said all along that I am not sure this council truly believes that letting the Coyotes go is bad. I think there are elements on council who believe that they can generate an equal or greater amount of money for the city without the Coyotes as an anchor tenant. The Marwicks are indeed Phoenix residents but they speak at Glendale council meetings because they can get away with doing so. The Marwicks are indeed Phoenix residents but they speak at Glendale council meetings because they can get away with doing so. Like Coyotes fans that do not live in Glendale, but speak at council meetings because they “can”? Thanks for taking the time to defend yourselves. Stop trying to compare apples and oranges. The Coyotes fans, whether they lived in Glendale or not, came to speak about one issue only. The Marwicks, who do not reside in Glendale, speak about every issue in Glendale even though they do not live in it. Interesting post Joyce (and of course developments with finally some movement on the Coyotes file). Just my opinion, but I dont think the same standards in terms of qualifications as outlined in the RFP would be applicable nor frankly of as much concern on a sole sourced Arena Management Contract when enjoined with the franchise itself. And of course, the only way this thing sticks, has a hope of being consummated is if the purchaser of the team does indeed control the management of the building in developing & receiving all available revenue streams. Sunrise Sports & Entertainment in Florida for example who own the Panthers have lost money on hockey operations for quite some time however those losses are ameliorated as the building in which the team plays & they manage turns a profit. This of course allows them to absorb losses while re-building the team which hadnt been managed properly as was the case with Phoenix under Moyes, Ellman, Burke & Gluckstern. Indeed, Sunrise Sports, the operations in Tampa, Nashville, Dallas, Anaheim & San Jose all models easily implemented in Glendale, a dramatic & fairly quick resurrection & turnaround absolutely beyond possible under astute & experienced leadership. And herein lies the problem, as Renaissance has none. But suspend that for a moment, understanding that certainly Anthony Le Blanc possesses much in the way of hubris & enthusiasm, and with the right personnel in place, alright, give them a shot, 5-7yr deal including an out clause but with specific conditions & clauses. Whats beyond troubling however is that Le Blanc has already signaled that Renaissance is looking for Greg Jamison range fee’s, nearly treble the fair-market-value rates, more than double what beyond cash strapped Glendales budgeted. And here they cant meet the requests for $600,000 from the Fire & Police Services Departments? Well, thats just not on, not going to happen, and I have no idea what kind of Creative Financing scheme Sherwood thinks he can devise to bridge that gap and you know what? Glendale shouldnt have to. $6M is more than enough. Yet here we go again. Messrs Bettman & Daly with a new ownership hopeful in tow last minute waltzing in, setting the stage for a power play, 2 minutes to play in the game. He’s already called Glendales decision to float the RFP “silly”, has little to no respect apparently for that process, and indeed would like to see it completely tossed, the City acceding to his every wish. The NHL’s in a jam. They told Judge Baum in the Moyes Bankruptcy that it was logistically impossible to move a franchise after May 31st, and they said so under oath. Now here we are on Tuesday May the 28th, supposedly a vetted & approved ownership group all ready to go. The Deadlines for the RFP’s on the 31st and options the City would like to look at Im sure but wont be able to fully apprise until June 11th or so, and the NHL comes a calling demanding what exactly? That Glendale pays Renaissance double what they’ve budgeted & just dispense with the RFP altogether or we move the team to Quebec City next week? He cant wait around until June 11th, he needs an answer & he needs it right now. He may even suggest that Glendale delay its decision on the RFP’s, pay the NHL the $6M, start negotiating with Renaissance over a lease agreement. League will commit to one more season, more time required to try & close a sale, negotiate a Lease. Joyce, in order to make anything work out in West Gate the team needs to be there. I live in N.Phoenix/Glendale and I’ve only been to West Gate for a game and once to take my sister to the new Tanger Outlets. There is nothing period at West Gate that would make anyone drive from anywhere in the metro area to just “shop” or dine. The restaurants and the retail stores are the same and are available anywhere in town. Even Tanger is nothing too unique to travel from say Temple. You have AZ Mills and even the outlets at Anthem. My point is the only thing unique to West Gate is the Coyotes, unless your looking to drive to Anaheim for a game and watch the ducks. Leaving the area empty, and slowly letting West Gate loose tenants and at best turning it into a “medical” business park is all that will be left. The retail stores (not Tanger) and the restaurants can’t survive will sporadic events at the arena. With fierce competition from venues (US Airways Center, Indian Casinos, Ashley pavallion) how in the world does this council expect to increase revenue and events? Most if not all events of a “big” nature will go to US Airways Center. If the 6 million figure is the amount they believe a well know group will manage, I hope the council doesn’t expect to get any ticket surcharges or parking or any high percentage of food/merchandises from any “shows” at the arena for that low amount. So “if” Weires has a back pocket deal with a management company for the “6 million”, the city won’t any profits or so on anything from the arena. But I guess for them anything not to hear from “Darcy” is enough profit for them. Ya, big problem heynow33, as when a professional sports team vacates an arena & leaves town, competition for consumer & trade shows, special events & specifically concerts gets seriously ramped up with whatever other venues are in the market. What happens is you get bidding wars going on between them for bookings with ruthless promoters calling the shots demanding guaranteed appearance & performance fee’s. For example you could have some nationwide tour of 80’s retro acts, the promoter demanding X amount guaranteed over & above what they’d receive via the gate and merchandising, then playing US Airways off against Glendale Arena, ultimately the arena manager either barely breaking even or losing money in hosting the concert. Gets really viscous. Some cautionary tales & examples found from Ohio to California & all points in between. Problem is all the competition go to the Phx convention center for gun shows and the like. As far as “has been” acts that still tour, Indian casinos/State Fairs provide a good 3K-5K audience for that. Jobing.com arena goes dark and Weirs and company move on to better things. Its no secret Jerry has much bigger political ideals beyond little old “Glendale”. He will sell out to anyone who buys him.